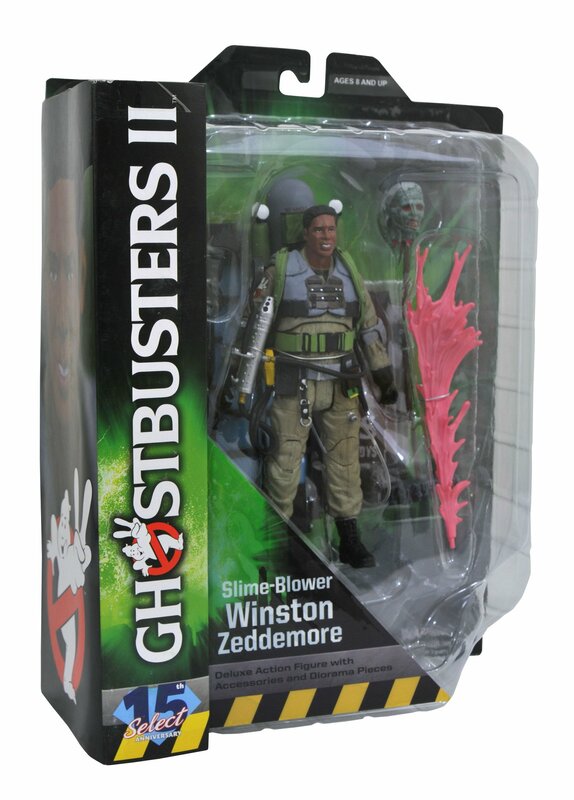 The comic and specialty shop versions of the newest Ghostbusters figures have been released by Diamond Select Toys. 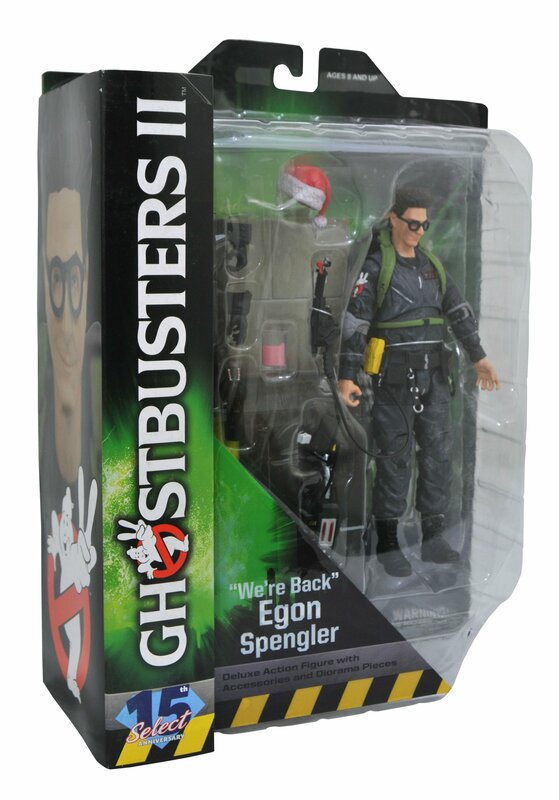 Hitting stores today is Ghostbusters Select Series 7. 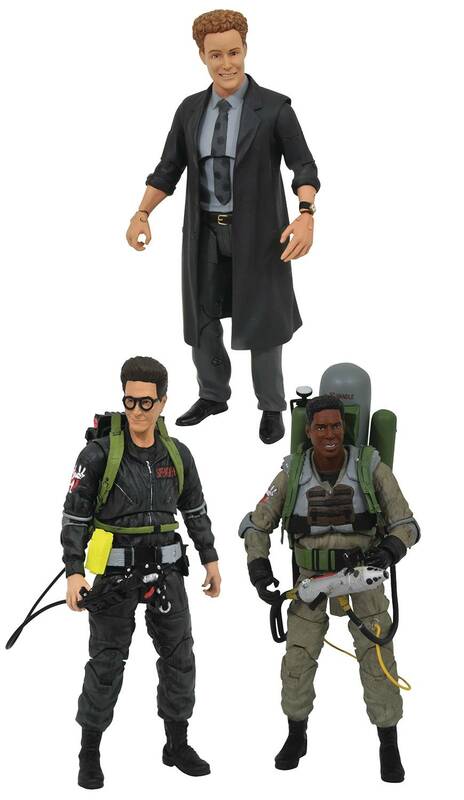 This assortment includes Dr. Janosz Poha, Winston Zeddemore, and Egon Spengler from Ghostbusters 2. Included are diorama pieces to construct the Ghostbusters Firehouse entrance. The figures are priced at $24.99 each. The Ghostbusters have seen stuff that will turn you white, and now it’s time to turn your friends green… with envy! 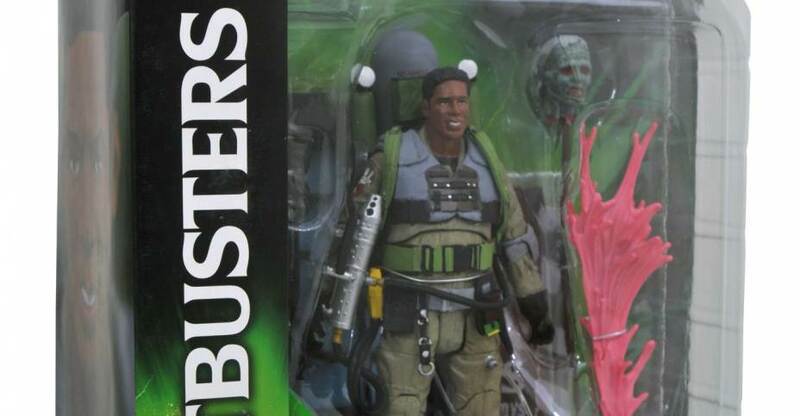 The 7th series of Ghostbusters Select action figures continues DST’s line of new sculpts based on Ghostbusters 2, with highly accurate renditions of Slime-Blower Winston Zeddemore, Grey Outfit Egon Spengler and the specialty-exclusive, never-before-made Janosz Poha, museum curator and servant of Vigo! Each 7-inch scale figure features approximately 16 points of articulation, plus character=appropriate accessories. 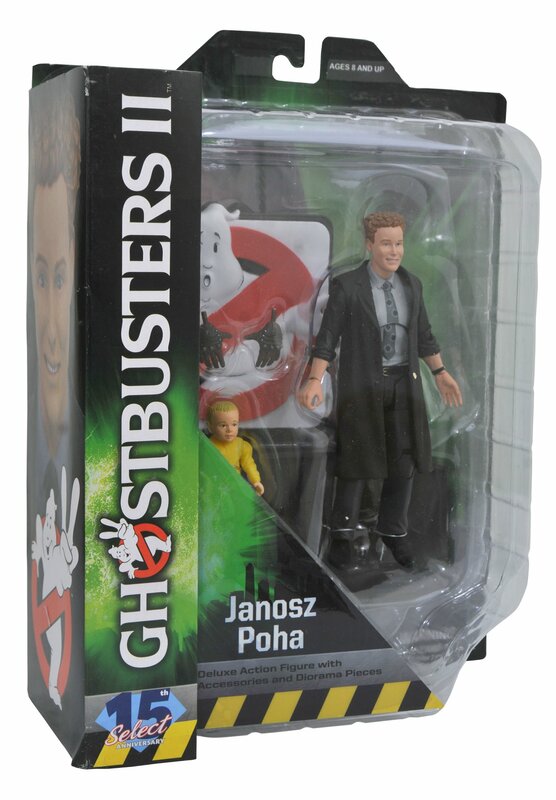 Plus, only at comic shops and specialty stores, each figure comes with a piece of the Ghostbusters firehouse diorama! Collecct all 15 figures in Series 6-10 to build the front doors and sign of the ‘Busters’ HQ! Packaged in display-ready Select packaging, with side-panel artwork for shelf reference. Sculpted by Gentle Giant!